With the new year, we are on a new journey across the United States. In 2017, StoryCorps’ MobileBooth will travel more than 4,000 miles from the Gulf Coast of Florida to Michigan’s Great Lakes, then down the Mississippi River finishing the year in Southern Texas along the Gulf of Mexico. Follow us on Facebook or Twitter and be the first to know when appointments open up. Along the way, our iconic Airstream trailer and a crew of facilitators will stop in 10 cities for a month at a time each, recording meaningful conversations and preserving them in the StoryCorps archive in the American Folklife Center at the Library of Congress. Since 2005, the StoryCorps MobileBooth Tour has visited more than 200 cities and traveled nearly 100,000 miles. In each city StoryCorps works with station partners, cultural institutions, and community based organizations to help spread the word, and encourage people to record a conversation with someone they love to be preserved for future generations. As StoryCorps works to become an enduring institution that touches the lives of every American, the MobileBooth Tour continues to provide an authentic StoryCorps experience to individuals across the country who may not otherwise have access to one of our permanent StoryBooths in Chicago, San Francisco, or Atlanta. 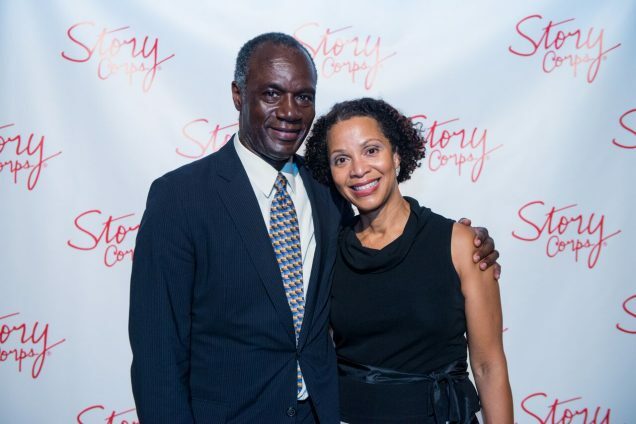 StoryCorps participants, supporters, and staff celebrated a series of remarkable stories and storytellers at our annual gala Wednesday at Capitale in New York City. The evening, themed “Who We Are: A Celebration of American Stories,” explored our shared and positive humanity through animated shorts and personal stories. “Who We Are is a little ripple of hope to remind us of our best and truest selves,” said StoryCorps Founder and President Dave Isay, in his remarks to the crowd of more than 300 guests. Through the outstanding leadership and generosity of our supporters, the event raised more than $750,000 for StoryCorps’ continuing work preserving and sharing humanity’s stories in order to build connections between people, and create a more just and compassionate world. 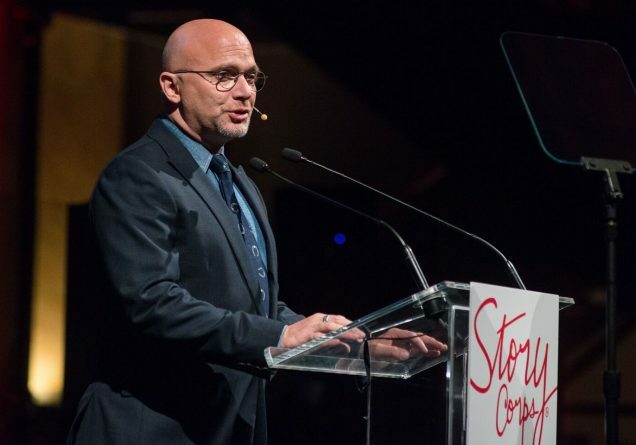 Hosted by two-time Tony Award-winning actor, singer, and musician, Michael Cerveris (pictured above), the program featured recent StoryCorps participants whose personal stories defy intolerance and hate. Among the featured participants were Alex Landau, whose encounter with Denver police in 2009 was the subject of the animated short, “Traffic Stop,” which has been viewed more than 20 million times and received a 2016 Emmy Award. “StoryCorps creates a platform for narratives that exist in our communities and gives us opportunities to be heard and provides us with the ability to make change,” said Alex Landau, in remarks from the stage following a screening of “Traffic Stop.” He was joined at the event by his mother, Patsy Hathaway. Chris and Gabe López (pictured above) spoke about the importance of their StoryCorps conversation, in which 8-year-old Gabe discussed coming out as transgender to his mom. Albert Sykes also reflected on the conversation with his son, Aidan, and the opportunity that StoryCorps provided for him to share his hopes and dreams for his son as a Black boy growing up in Mississippi. Mussarut Jabeen talked about being able to share what it means to be a Muslim American and to honor her students who were killed in February 2015 in what has become known as the Chapel Hill shooting. 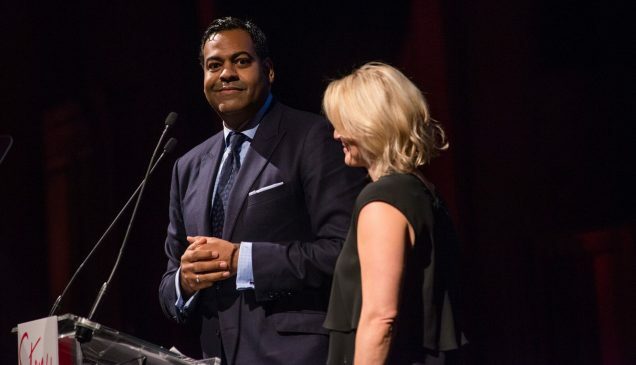 The event also recognized two honorees: the Ford Foundation, one of StoryCorps’ longest-running and most generous supporters (represented by chair of the Ford Foundation Board of Trustees Kofi Appenteng,pictured above left with his wife, Stephanie), and StoryCorps’ Board of Directors Secretary, Dane E. Homes, and his wife, Barbara (pictured below), who together provide outstanding support and leadership for StoryCorps. As has become a tradition at StoryCorps events, each table was equipped with a generous supply of tissues, which came in handy as guests listened to heartfelt personal testimonials and viewed animations throughout the evening.